HOUSTON – AZA lawyers secured a take-nothing jury verdict for well-known Houstonian Dr. Steven Hotze and two of his brothers, who were accused of fraud, securities violations, and breaching their fiduciary duties involving family business operations. The lawsuit was filed by two other Hotze brothers who alleged that nearly every transaction over the past four years had been handled improperly. They claimed that Dr. Hotze and brothers Mark and Richard breached their duties when they saved Compressor Engineering Corp. (CECO) from foreclosure in 2014 and 2015. The jury had a 65-page charge and 45 questions to answer after a five-week trial. With up to $30 million in damages at stake, jurors awarded the plaintiffs nothing. 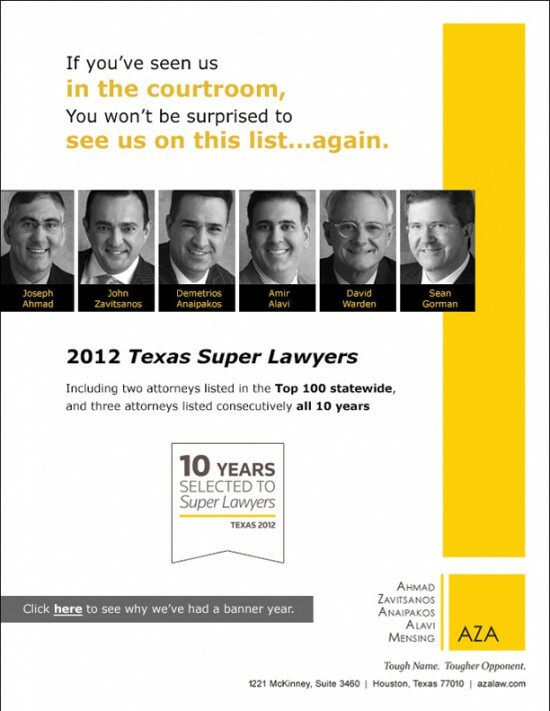 The case was named among the largest Texas courtroom wins in 2018 by the Houston Chronicle in “The Biggest Courtroom Wins of 2018″ (subscription required) and Texas Lawbook in “The Top Texas Litigation Stories of 2018” (subscription required). “This was a hard-fought case that was painful for a family of brothers who grew up together and love each other but who clashed over whether to abandon or save their family business,” said AZA associate Jason S. McManis. He represented Dr. Hotze along with AZA co-founder John Zavitsanos and associate D.J. Ringquist. Bruce and David Hotze, along with David’s wife Donna Hotze, filed the lawsuit against the other brothers and numerous business entities in which all five siblings owned an equal interest. The plaintiffs sought to terminate the family-owned businesses. The plaintiff brothers left CECO in 2014 when the company was facing foreclosure and the loss of over 400 jobs. The other three brothers took over and managed the company through difficult times, earning a “Turnaround of the Year” award in 2016 from the Turnaround Management Association. Bruce and David Hotze filed suit only after their brothers’ hard work saved the company, trial evidence showed. Richard and Mark Hotze continue to lead CECO today. Dr. Hotze is the founder and CEO of Hotze Health & Wellness Center, as well as a prominent Republican activist. The case is David Hotze v. IN Management, LLC et al. No. 2016-36300 in Harris County’s 61st District Court.